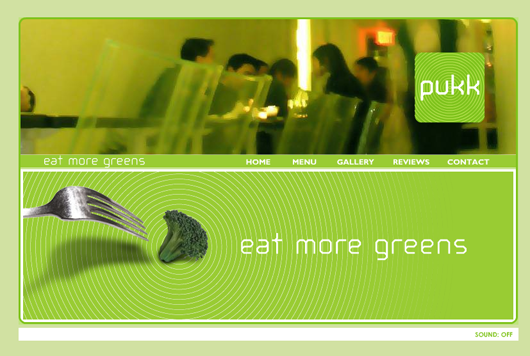 At the beginning of my switch to a pure vegetarian diet, Pukk was my favorite place in New York City to dine out. I went back last night for the first time in nearly a year, for The List. The List is a real, mile-long list of NYC’s vegetarian, pure vegetarian (vegan) and veggie-friendly restaurants. A friend presented me with it a few weeks ago and I jumped at the chance to try each and every spot on it in an attempt to wade through the BS and pick out the true winners. The only way any place could ever be a true winner? If you could take an omnivore there and have them leave raving about it. Last night was stop number one on The List: Pukk, a veg and pure veg-friendly eatery serving up Thai food in the East Village. So how does Pukk rank on the rating scale? If you’d asked me two years ago I would have said that Pukk was, hands down, a True Winner. I’ve taken omnivorous friends there in the past and we all left satisfied. No one could tell that the meat wasn’t, in fact, meat (you can order chicken or duck and rest assured that it's soy protein; if you want a pure veg meal simply tell them to leave out the eggs) and everyone loved the wallet-friendly prices. But something seems to have changed. 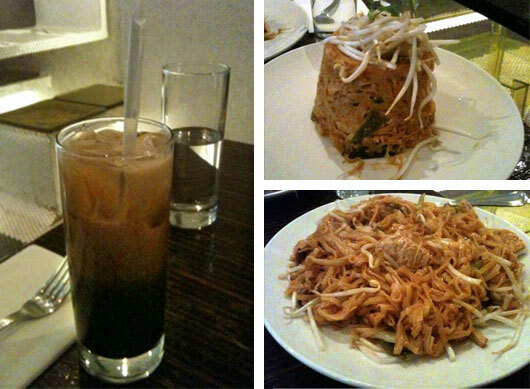 The prices and hypnotic, space-like atmosphere are still as they always were but the Pad Thai was oh, so bland. Skip the Pad Thai unless you want to have to ask for a side of Sriracha and lemon wedges (it's bland, venture outside of the typical Pad Thai box and you’ll be happier. ); and the pure veg Thai Iced Coffee is a good attempt but you can make better at home with cashew cream. Order the spinach toast as a starter. "Toast" is misleading — it's not toast. So good! Visit Pukk online at www.pukknyc.com or in person at 71 First Avenue (between 4th and 5th Street), New York, NY.